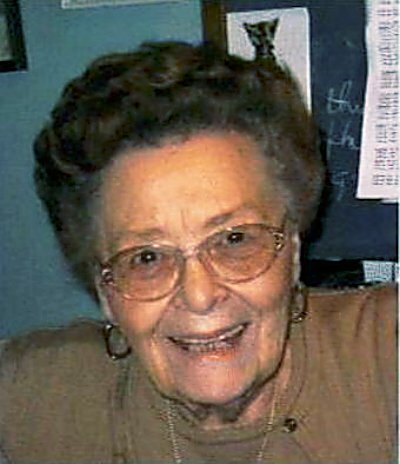 Elva Mae (Brukner) Yajko, 95, of Natrona Heights, passed away Thursday, December 25, 2014, at Presbyterian Senior Care, Oakmont. 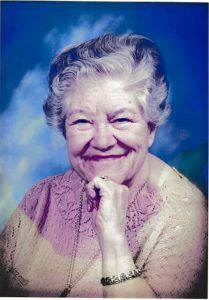 She was born March 2, 1919, in Natrona Heights, the daughter of the late Godfrey and Frances Heilman Brukner. Elva Mae worked for many years at the former Brukner Grocery Store in Natrona Heights. She was a member of Our Lady of the Most Blessed Sacrament R.C. Parish, Most Blessed Sacrament Church in Natrona Heights. 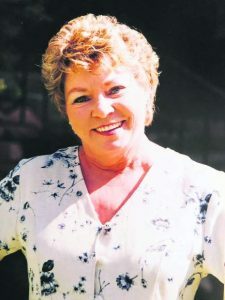 Elva Mae was also a member and past president of the Ladies Guild of the church, past president and member of the Hilltop Hose Company Ladies Auxiliary and Tarentum Elks. 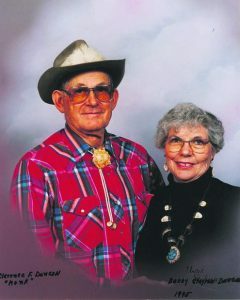 She was an avid reader and enjoyed playing cards. 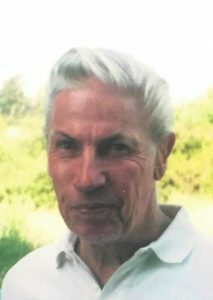 Elva Mae is survived by her children, Dr. R. Douglas (Alexandra) Yajko, of Glenwood Springs, Colorado, and Christine Yajko (Anthony Akillian), of Watertown, MA. ; 3 grandchildren, Tracey Yajko, Mindy (Brian) Tagler and Sebastian (Kathleen) Wanatowicz; by her twin great-grandchildren, Will and Winnie Tagler, and by her niece, Pamela (James) Kane, of Natrona Heights. In addition to her parents, she was preceded in death by her husband, Walter A. Yajko, on May 26, 2003; and by her brother, Robert W. Brukner.